The Clallam Bay Comicon is morphing into what will be even more like a party. Here comes the Clallam Bay RainCon Afterparty! Right now the website needs updating, but you can join in at the Facebook page, Fans of RainCon. If you don't use Facebook, contact me at donnabarr01 at gmail dot com, and I'll hook you up with Evan Sveum, in Forks, who runs RainCon. 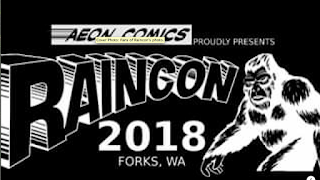 Unlike the Clallam Bay Comicon - which I never tried to promote as anything but an attempt to get what I love about comics onto the Olympic Peninsula - RainCon is a fully-expandable professional comics/entertainment convention. I've always promoted comicons as job fairs, and the locals are getting it. And yes, we can thank Twilight for turning around their ideas of what entertainment and city folk are all about. They want MORE. 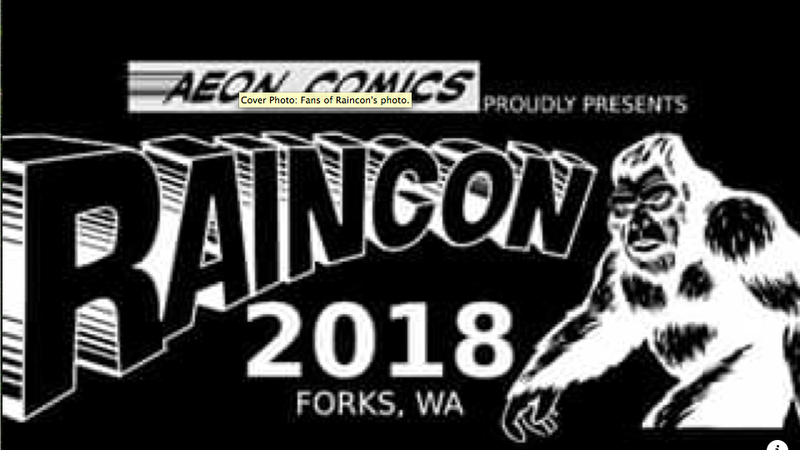 The Clallam Bay Comicon will continue as the RainCon Afterparty. 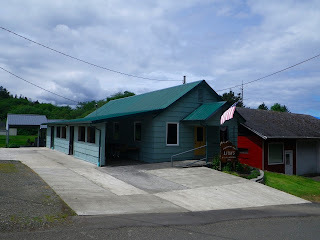 Those who usually come to Clallam Bay should know you are very welcome by this community, in all ways, and if you want to show up July 13, 2019, to enjoy Fun Days, followed by an evening party and fireworks, please do join us. The party will be Fun Days itself, The Fish-and-Chips bash at the Clallam Bay Inn Saturday night, and the fireworks to follow. Basically, drive up here Saturday, stay the night, and head home Sunday. The place you want to stay is the Winter-Summer Inn; it's still the place to stay. Owner Sandy Tsiang says she's happy if we want to use the Inn as party and hang-out central. She knows and likes the comics folks. The Inn is a beautiful place to entertain. BUT - if you need to make a choice, and you want to have a table for what promises to be a more accessible convention with the chance to build a growing sales potential, then choose RainCon. I'd love to see you at both, but travel money and time is tight in this biz. RainCon will be supporting rooms for a limited number of professional guests! So if you want to see a special guest on the Olympic Peninsula, contact them, and assist. Shoot as high as you want - you never know what entertainment star would love to see this beautiful part of the world. I've already contacted many of my colleagues. Fingers crossed!